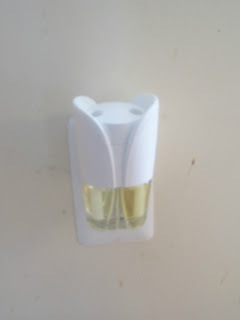 I recently received a Cozy Vanilla gift pack from Febreze. They sent me a scent which is part of their new Holiday Collection. Oh my, this scent is heavenly!! I plugged in a Noticeable near my kitchen and the Cozy Vanilla Sugar scent makes my house smell like sugar cookies. My daughter also really enjoys the air effects spray and has been spraying it all over the house. We love this scent because it is so comforting and welcoming. There are several other scents in their limited edition holiday collection that you might also want to try to use in your own home. Cranberries and Frost Rich as ripe cranberries and frost on white winter's day. Holiday Bloom & Cheer A cheerful chorus of holiday aromas blended with winter blossoms. You can learn more about each scent and see holiday decorating tips are perfect for each scent from designer Candice Olson here. 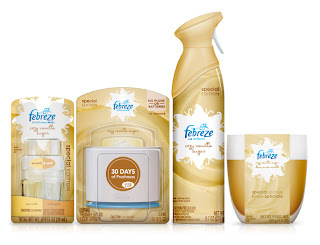 Febreze would love for you to try their new Holiday Collection scents and is giving a prize pack one of my readers. 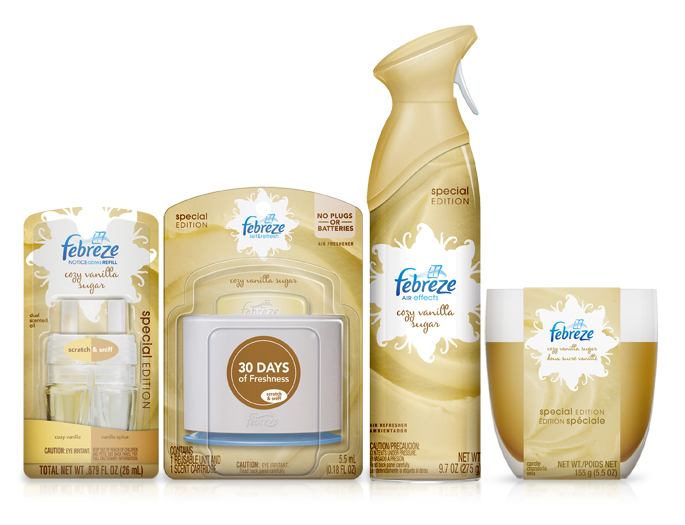 If selected the winner, you will receive a $10 Febreze coupon booklet and a $15 Visa gift card. *The Febreze product, information and two gift packs have been provided by Febreze. *Febreze (c) does not represent or warrant the accuracy of any statements or product claims made here, nor goes it endorse any opinions expressed within this blogsite. I am torn between the apple cinnamon and the vanilla sugar. I love both! I'd like to try apple spice & delight. I'd try the holiday bloom & cheer! Ooo, would love to try the Winter Magic & Glow!! Apple Spice & Delight, for me!